We are a family helping break the cycle of poverty. 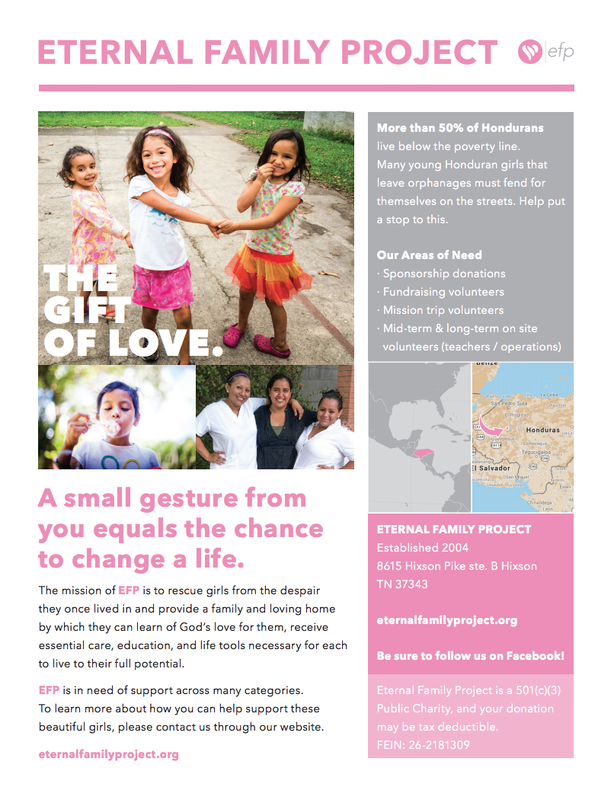 Eternal Family Project is a family. One full of young women, learning to thrive and have a heart of servitude. Allison cares for her daughters’ needs by providing emotional and spiritual support, healthcare, and quality education. We live to serve our community and lead the people around us to God’s love and freedom. EFP means so much more than just providing a meal or a place of momentary refuge. EFP provides a complete life support system for our girls. How to be a part of making life change happen. Click TO download this PRINTABLE info packet FOR DETAILED INFORMATION ABOUT ALL WE DO.